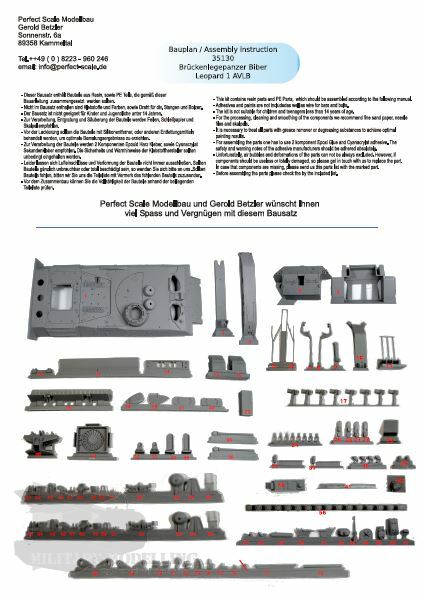 For modellers of modern equipment, it was announced in December that a limited edition of a 1:35 scale Biber would be launched by the well-known German company, Perfect Scale Modellbau! After a short wait of a few months, it is now available. 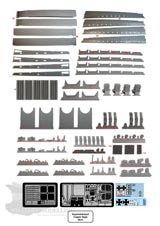 I have already had the opportunity to look at PSM's bench and publish previews, so now I am glad to be able to take a closer look at the complete kit. 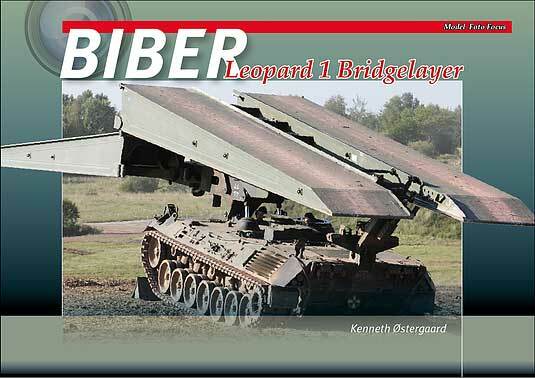 Among the many variants of the Leopard 1 family, the Biber is one of the most imposing vehicles. 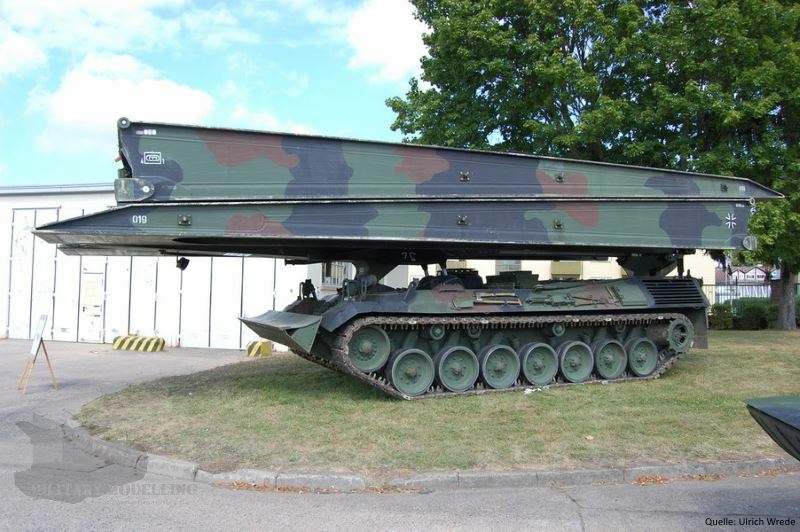 With the introduction of Leopard 1 and the requirement to use the chassis as the basis, MaK (since 1992 Rheinmetall Land Systems) developed a successor to the American M48A2 Armoured Vehicle Launched Bridge (AVLB). 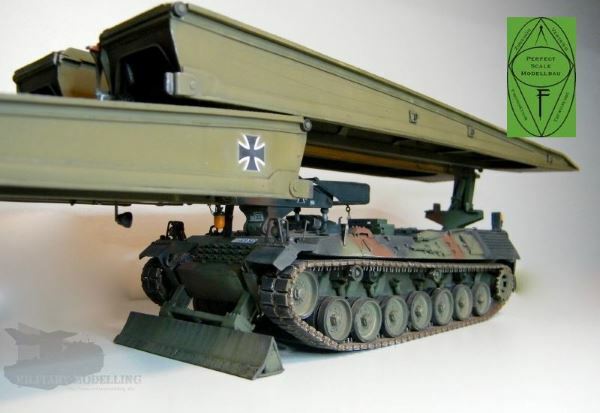 As general contractor, MaK delivered 105 bridgelayers from 1973 to 1975 to the armoured engineer companies of the German Federal Armed Forces. 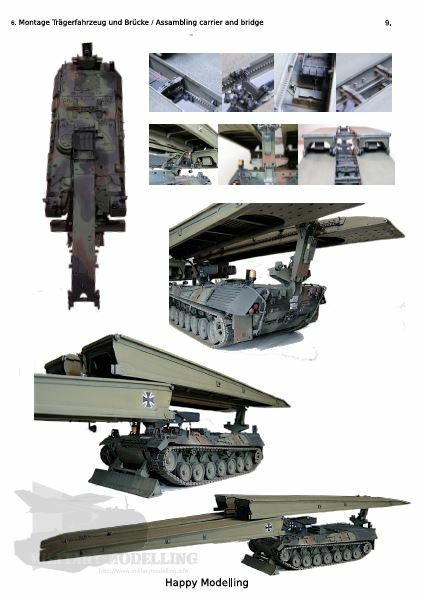 The Biber was the first armoured bridgelaying vehicle that could launch a cantilever bridge horizontally. Unlike the usual embarrassment of scissor bridges, the probability of detection would be greatly reduced at longer distances. The bridge is 22 metres long, 4 metres wide, about 10 tons in weight, and can be launched in 2 to 8 minutes even under armour protection. This can overcome gaps up to 20 metres wide such as obstacles like rivers and trenches. The crew consists of two, the driver and the commander. The bridgelayer is unarmed apart from smoke grenade launchers for self-defence. In addition to the German Federal Armed Forces, the armed forces of Australia, Chile, Denmark, Italy (64 manufactured by OTO Melara), Canada, the Netherlands and Poland use the Biber. The total number amounts to 145 vehicles. 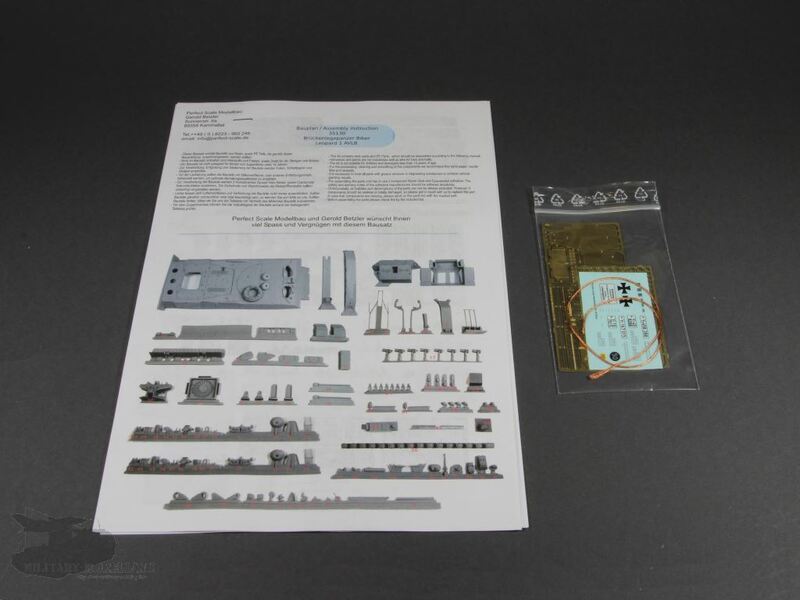 The kit comes in a quite large, sturdy white cardboard box with a simple label showing the completed model. 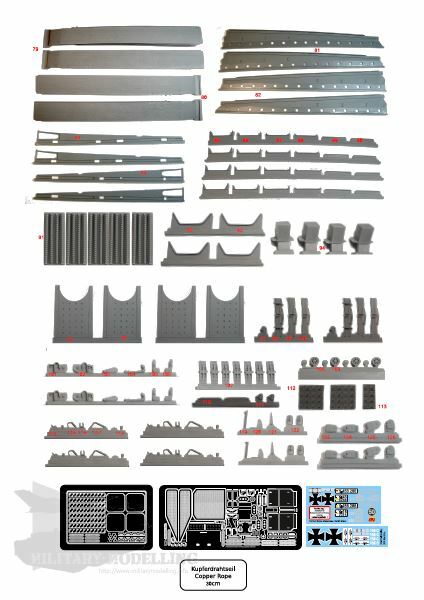 In this multi-media kit, the total parts count is 283 resin, two PE frets, twisted copper wire plus two sheets of decals. The components are mostly packaged in ziplock bags. They are well packed inside the box and protected against damage with bubble wrap and packing chips. At first glance, the kit makes an excellent impression. It apparently contains everything for building a detailed Biber. 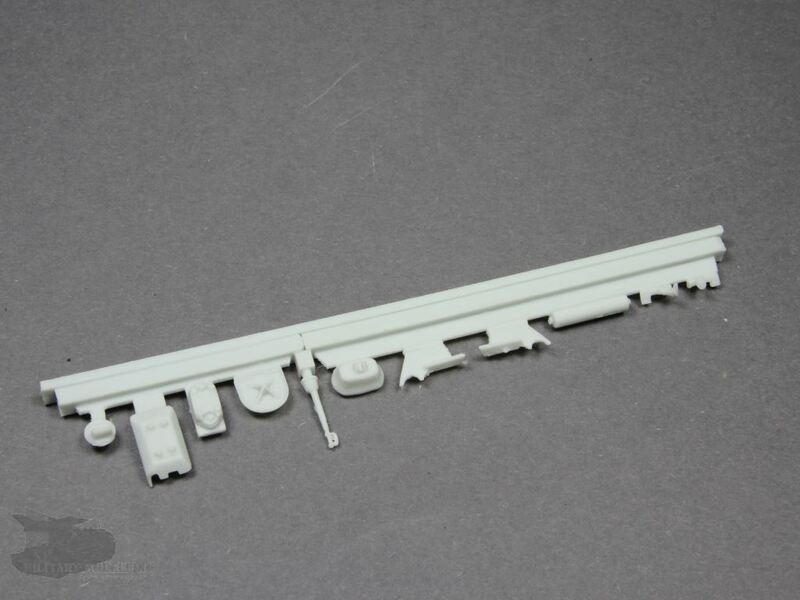 What is not made clear in the kit itself is that a donor kit is needed as there is no lower hull, no running gear and no tracks. 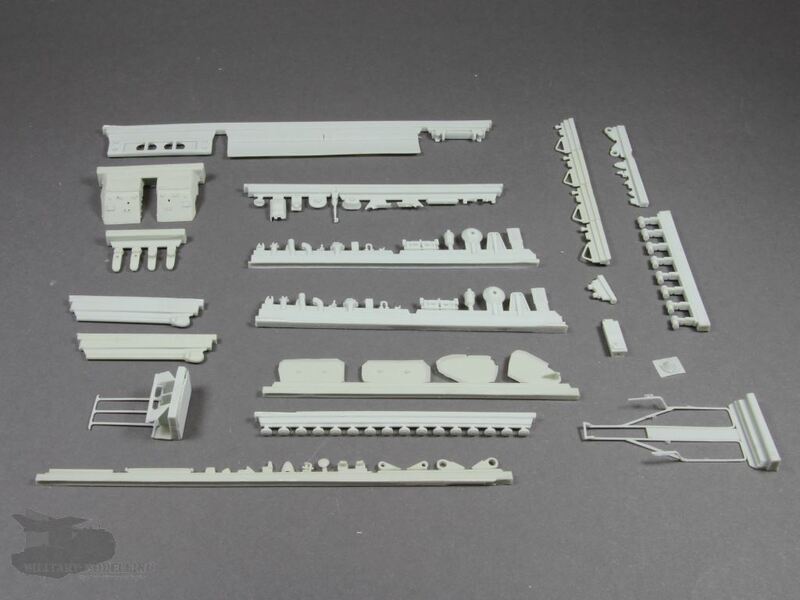 No recommendations are made as to which kits can be used, but the Meng kit was used in the instructions. 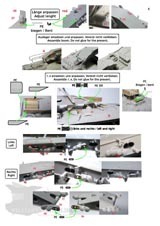 You will also need standard Leopard parts such as the external tools, cupola ring, side tool boxes, grousers, etc. 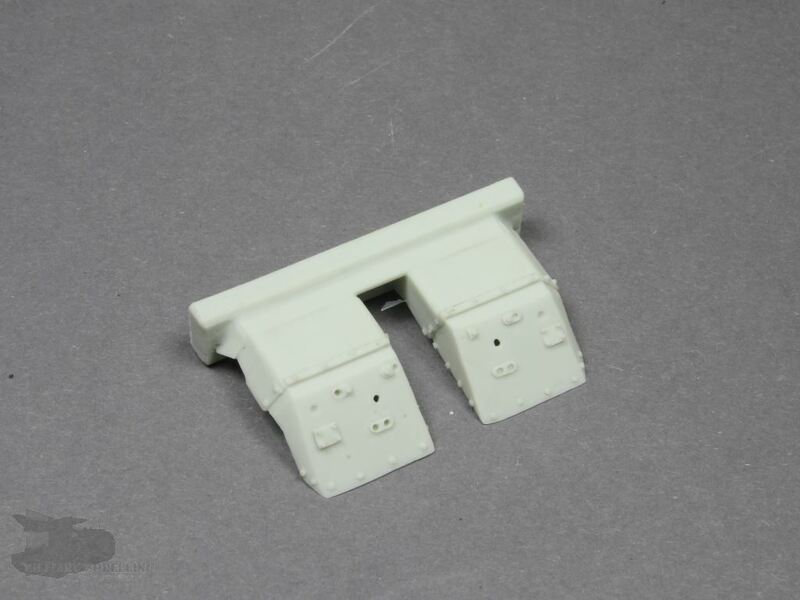 However, according to PSM's website, a suitable base kit is required, since it is a conversion kit. 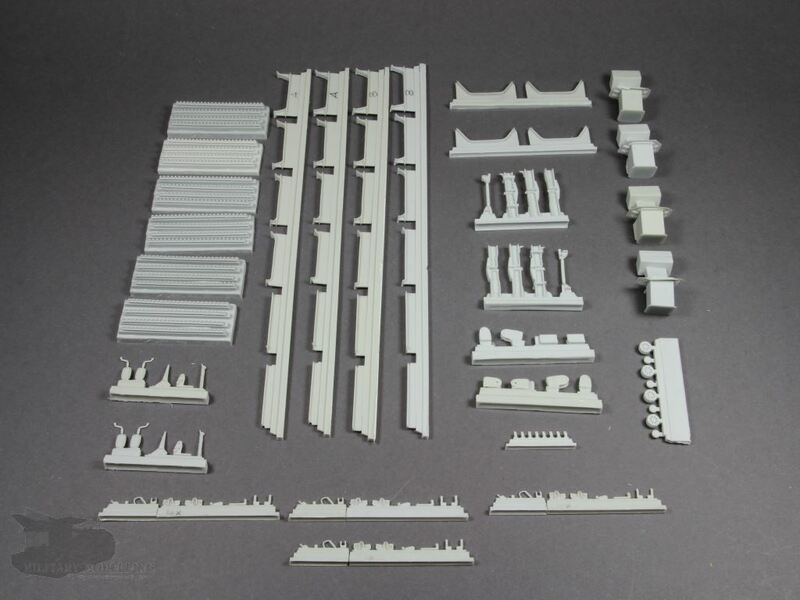 Every available Leopard 1 kit from the known manufacturers Revell, Italeri or Meng can be used. The full-colour instruction manual is nine pages of A4. 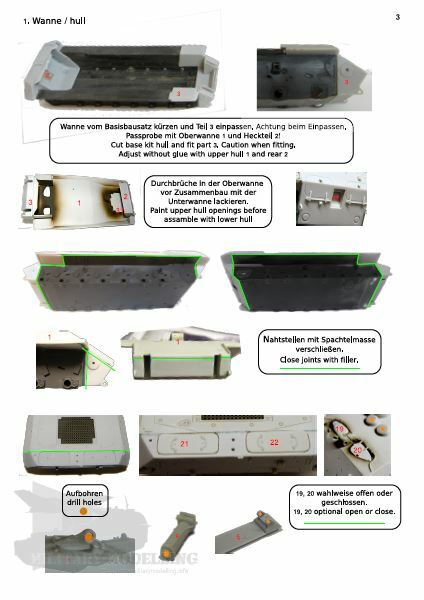 It begins with general warnings for handling resin and glue in English and German, a comprehensive parts list and a note to check the contents carefully and to directly get in touch with PSM for replacements if parts are missing or damaged. In my kit, all components were present and undamaged on preliminary examination, thanks to good packaging. 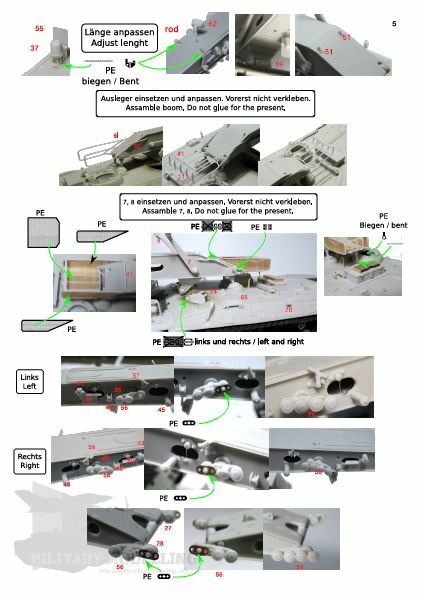 The instructions for the assembly steps are in the form of construction photos combined with corresponding notes in German and English. Coloured markers and drawings complement the photos at the appropriate places. 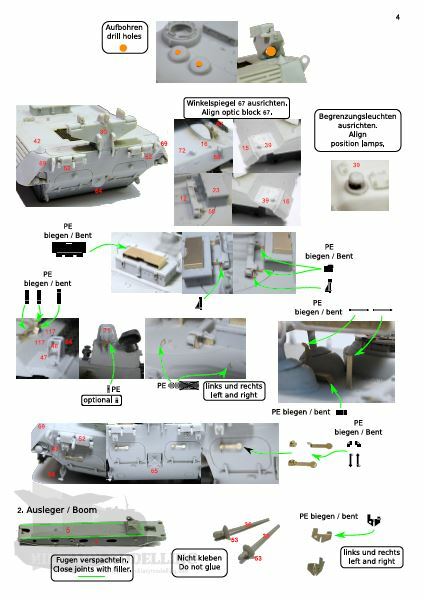 At the end of the instructions, colour photos of a completed model are included as a painting guide. The instructions are mostly clear. However, a closer look is needed at one or two building steps to position the parts correctly. 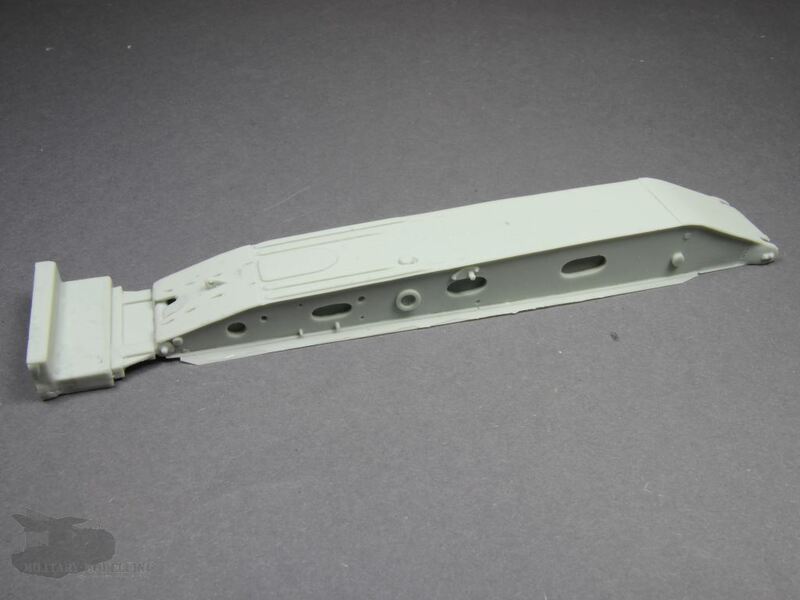 Basically, for an experienced modeller, the assembly according to the photos should be possible without any major problems. The two decal sheets included, one for the hull and one for the bridge, are of good print quality. The colours are bold and well detailed. Provided are hazard notes, tactical signs, Iron Crosses and two different number plates. With these decals, a Biber from the armoured engineer company 200 or the armoured engineer company 300 can be represented. 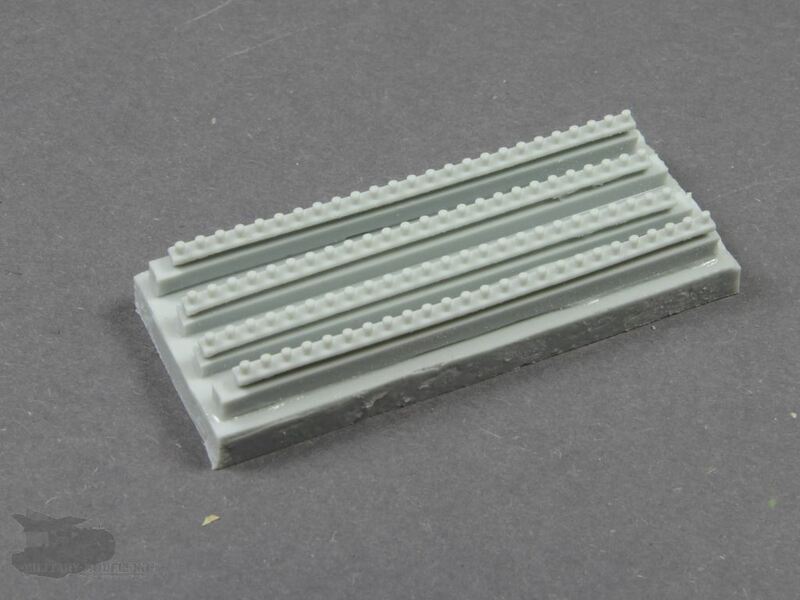 The kit contains two PE frets containing an appropriate selection of construction refinements. These include grips, stow basket mesh, handles, brackets, mud flaps and fine chains, locks. Note that there is no rear deck grille. 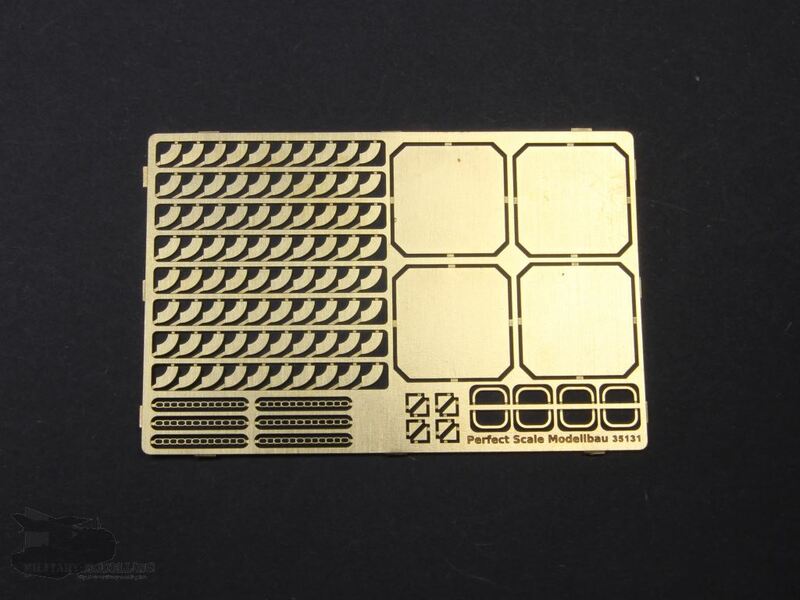 Most of the components are quite delicate and certainly require a healthy amount of experience in dealing with photo-etched parts. 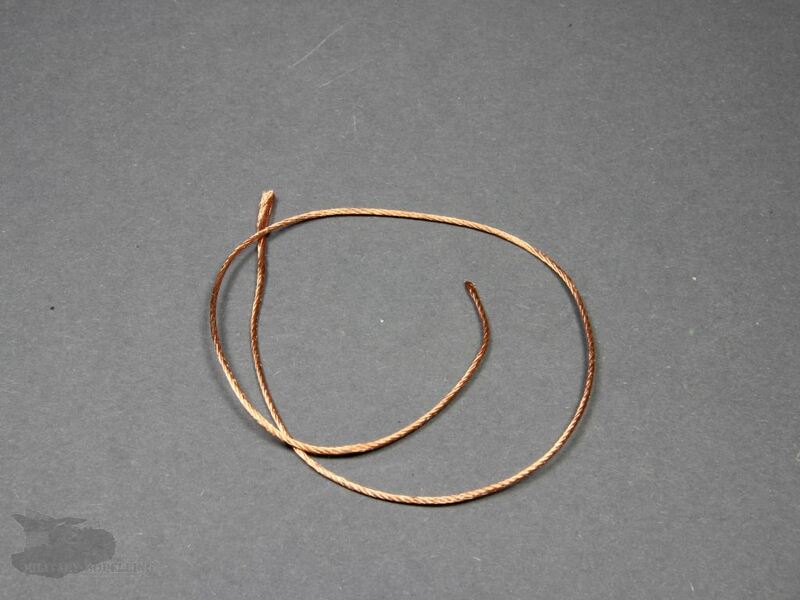 For the tow cables, a 30cm long, approximately 1 mm thick, beautifully twisted copper wire is included. 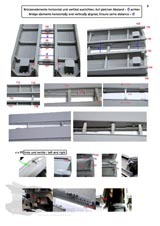 The already mentioned 283 parts can be divided into the following assembly groups: hull, bridge-laying mechanism and the bridge itself. I will start with the hull. 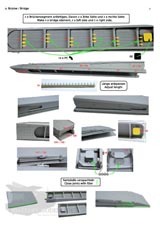 The components for the hull include the hull front, the hull rear and the upper hull. 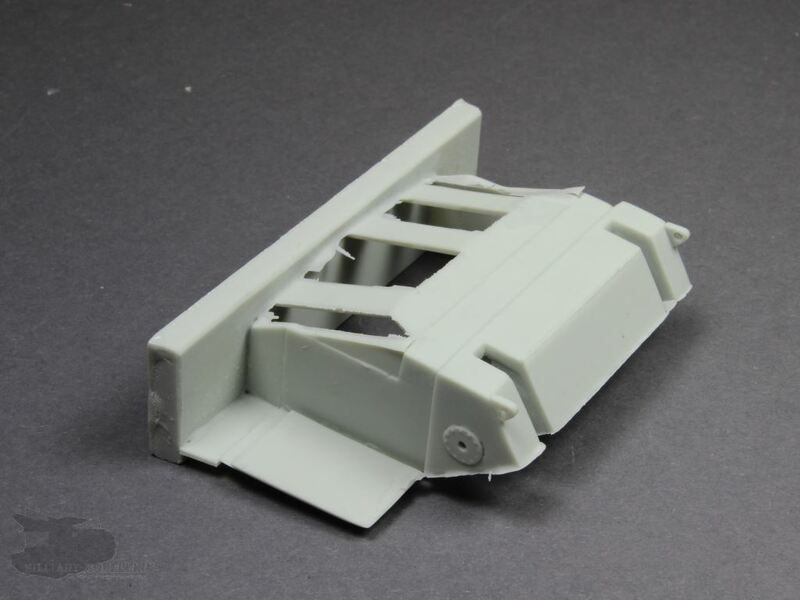 In addition, the rear bridge support and a lot of additional detail components. 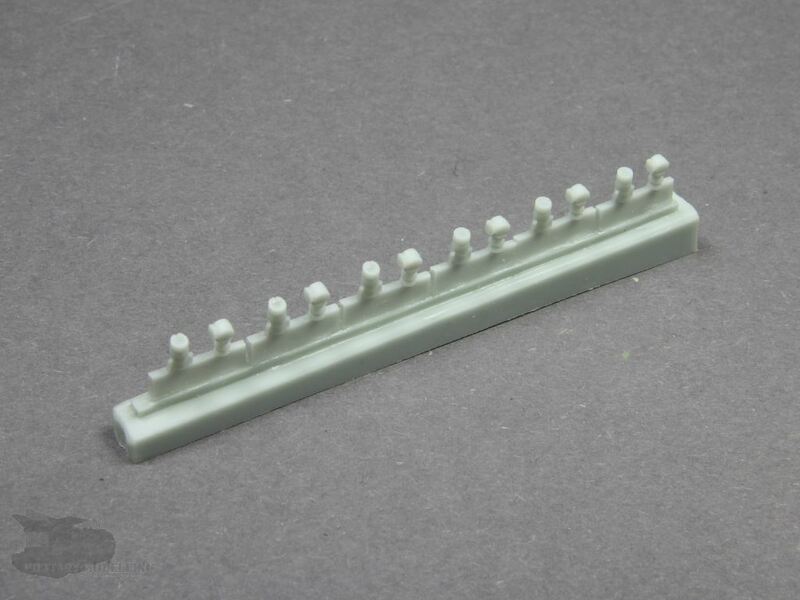 All parts exhibit excellent quality and accurate casting. 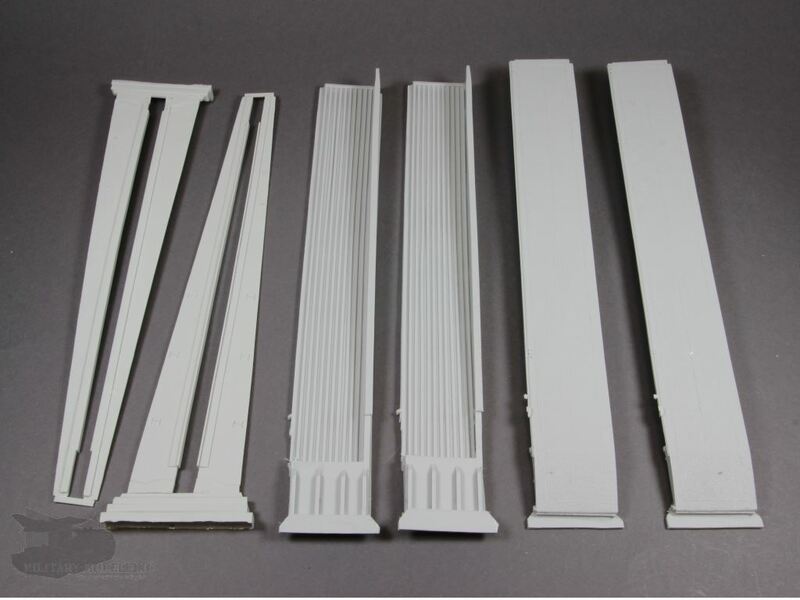 The details of the components are consistent and match the original well. 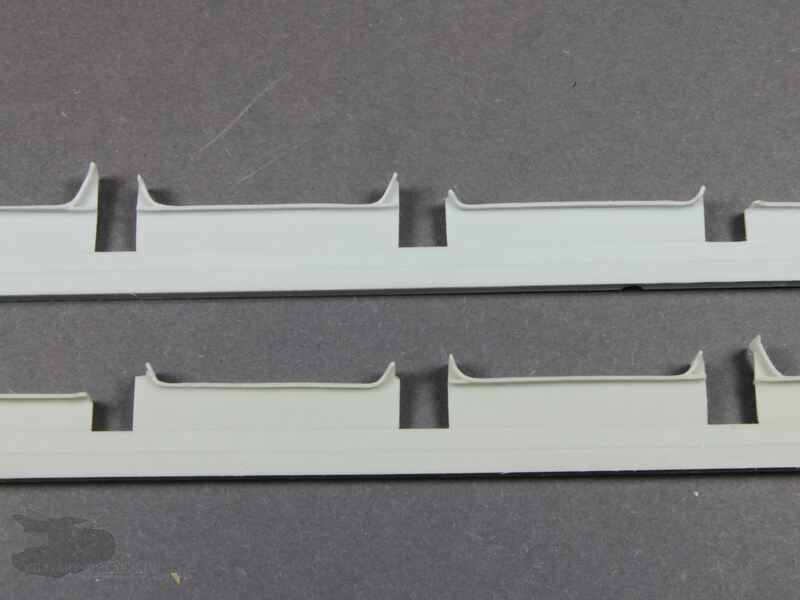 The hull front is a plug-in component, including the cut-outs for the support blade. 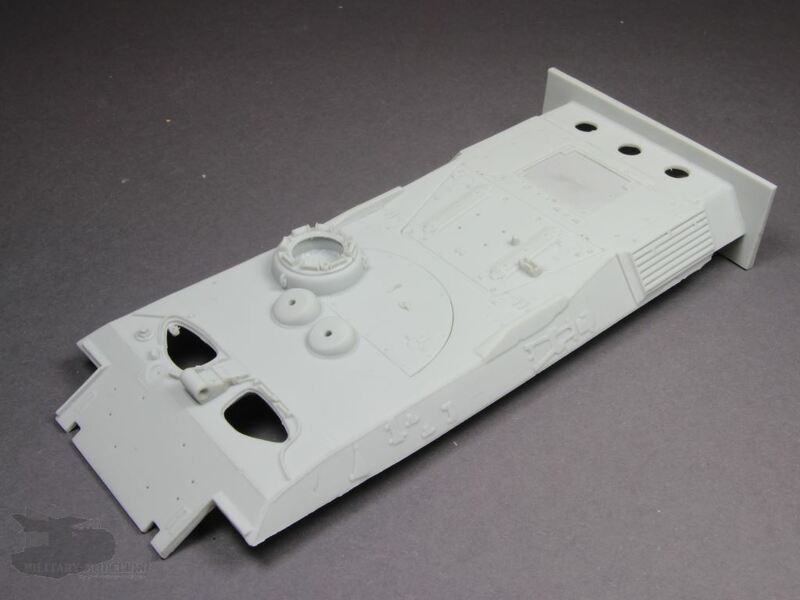 Using cast extensions, the hull front (and hull rear) are simply inserted into the chassis of the base Leopard 1kit. The base chassis must be carefully cut for this purpose at front and rear. Filling the gaps is unavoidable here and extensive dry fitting is recommended. The support blade components are consistent, detailed and true to the original. 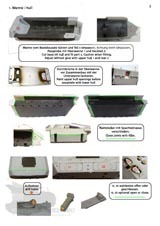 The support blade itself consists of components with some flash but which is easy to remove. Composed of beautifully-designed components, these are the front blade, arms, brackets and bolts which allow a movable display. Again, the details and design of the components are incredible. The extended hull rear with its hatches, hinges and the lighting is faithfully well done with no casting defects. Any flash is quickly removed. When assembling, as with the hull front, dry fitting is a must! 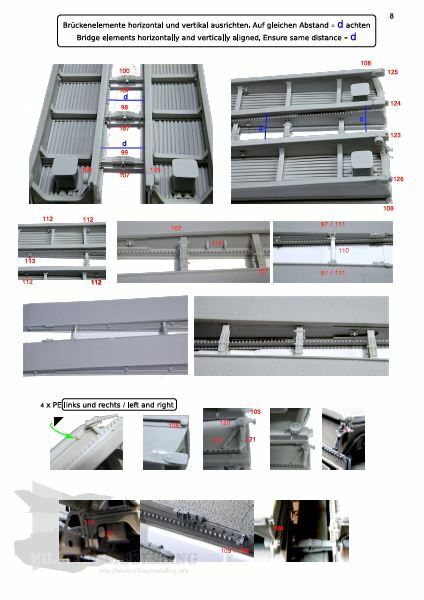 The hull top is composed of a single component which reveals neither warping or defects. The peculiarities of Biber are reproduced well here, whether the pivot for the cantilever arm or the distinctive inputs for the hydraulic cylinders. 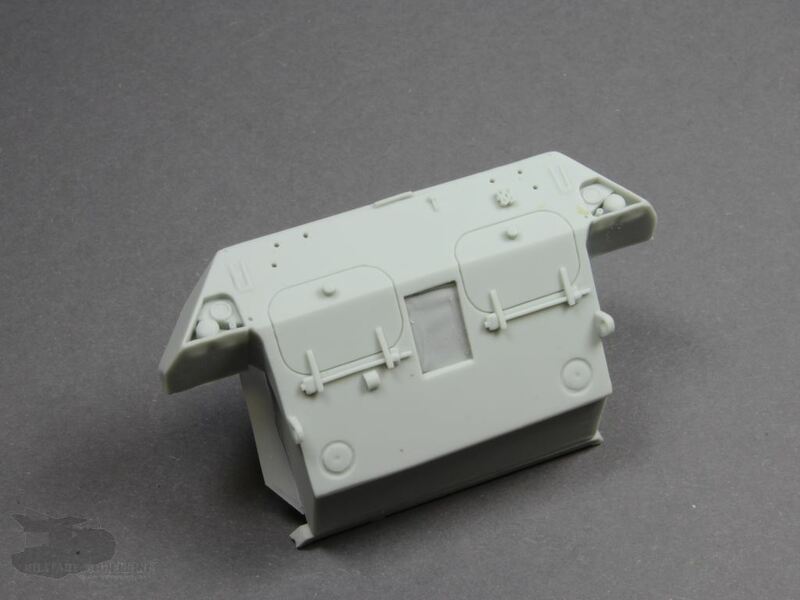 The commander's cupola with periscopes are coherent and detailed. The rear exhaust grilles correspond to the original and are well reproduced. The detailing of the engine deck is correspondingly well done. 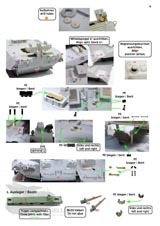 The hull is completed with other components such as hatches, doors, mirrors, tools, lights and convoy light shield. 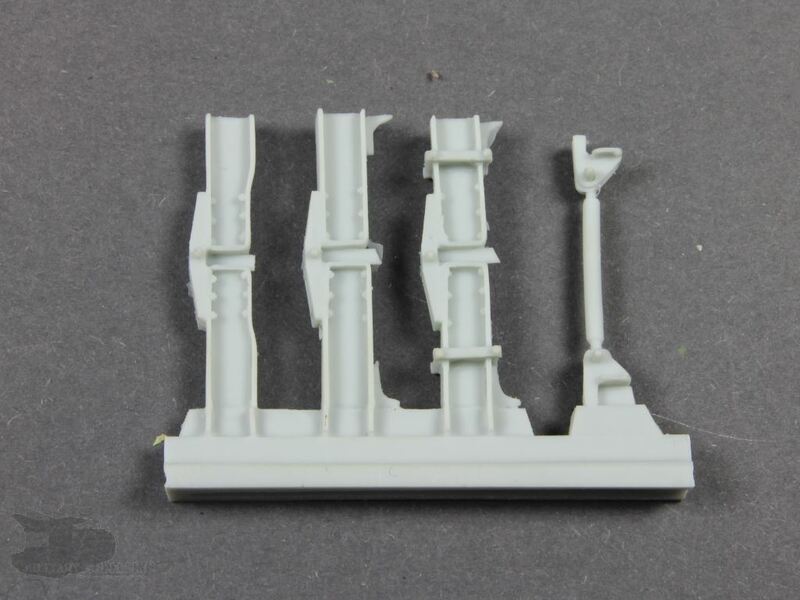 These components are extremely detailed and perfectly cast. The master builder has thought of everything. Commendable! 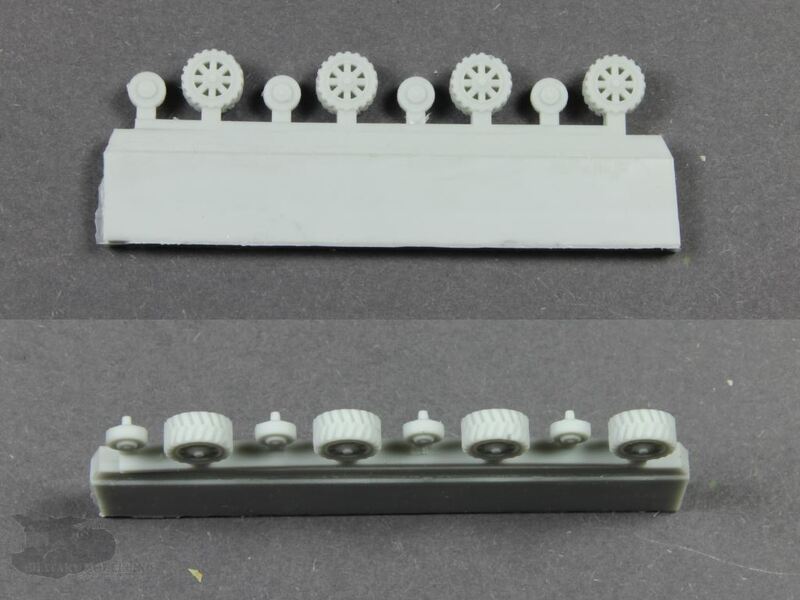 I continue with the components for the bridge-laying mechanism. Here, the front cantilever forms the largest component. The main arm consists of upper and lower parts. 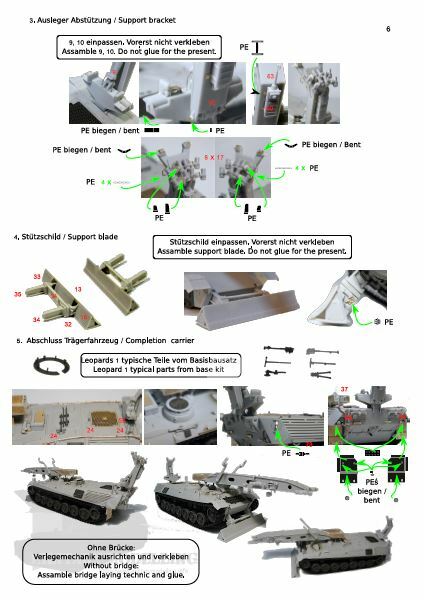 The features of the Biber's cantilever arm are reproduced well here, whether it is the receptacle for the front wheels or the holder for the hydraulic cylinder. The detailing leaves no wish unfulfilled. 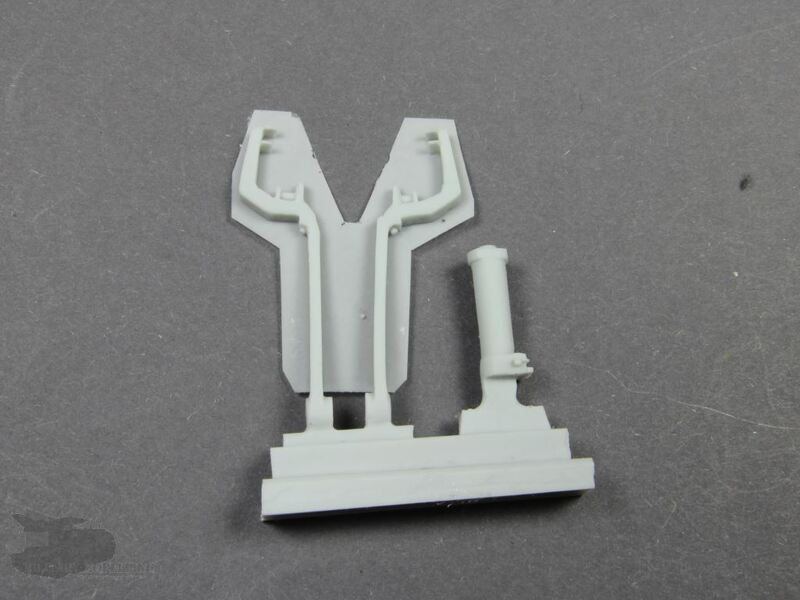 Both parts fit together perfectly and the necessary clean up is limited. The lifting fork, though it is cast well, requires some clean up. The concise stowage rack is a delicate casting, which is completed with PE mesh. The basic construction is extremely delicate and prone to fracture. So take care! In addition to the larger components, there are many additional components that need to be added to the cantilever arm. These parts include small sprockets, rollers, a mirror, a flashing light, sensors, latches and hooks, to name a few. 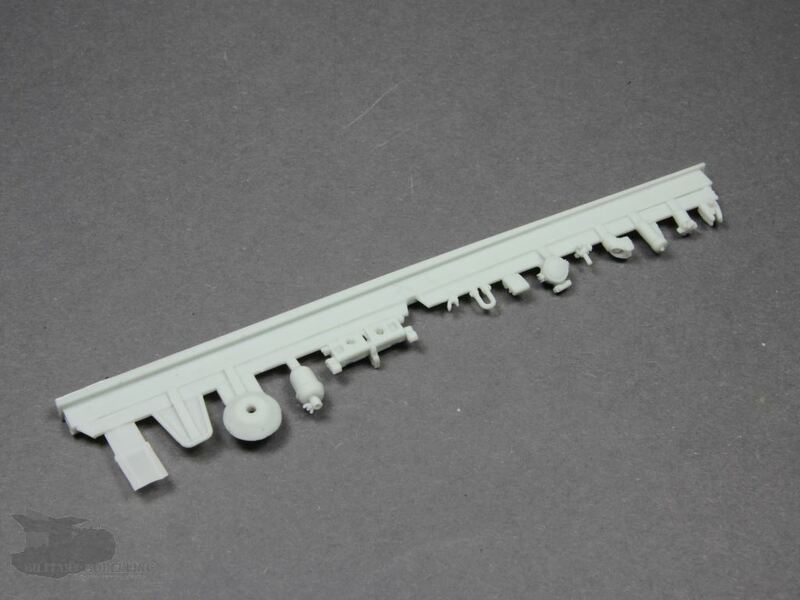 Overall, these mechanical parts are perfectly executed elements. Neither air bubbles nor defects can be seen. Impressive. 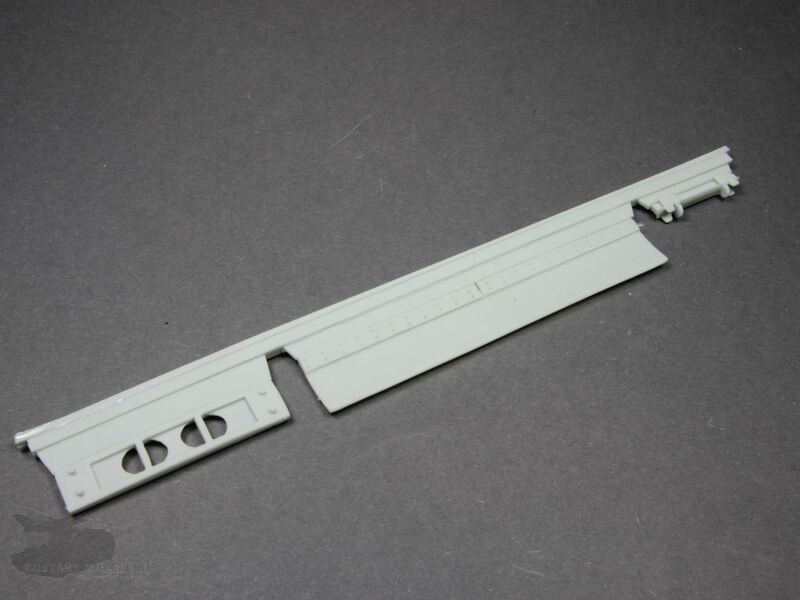 The bridge parts are the largest resin parts in the kit. The roadway sections and side panels are quite large components, all very impressive. 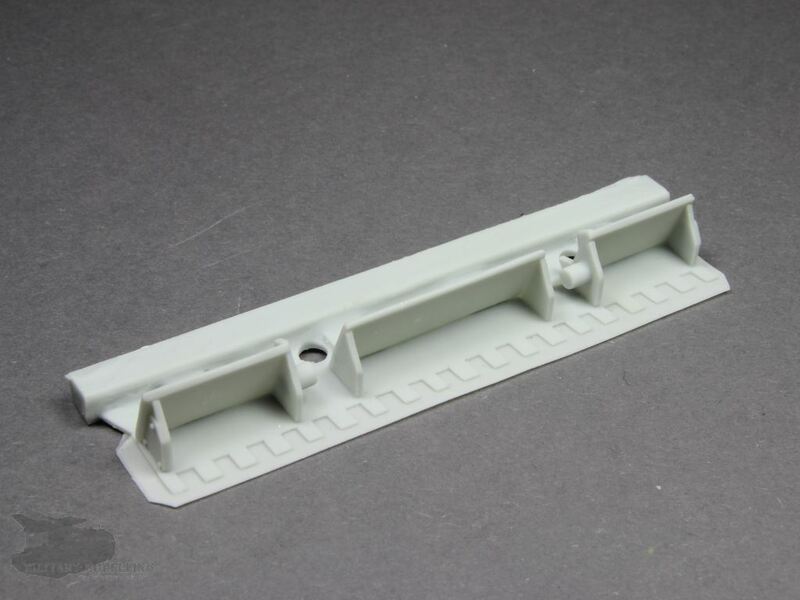 PSM manufactures the bridge from several components, almost like the original. 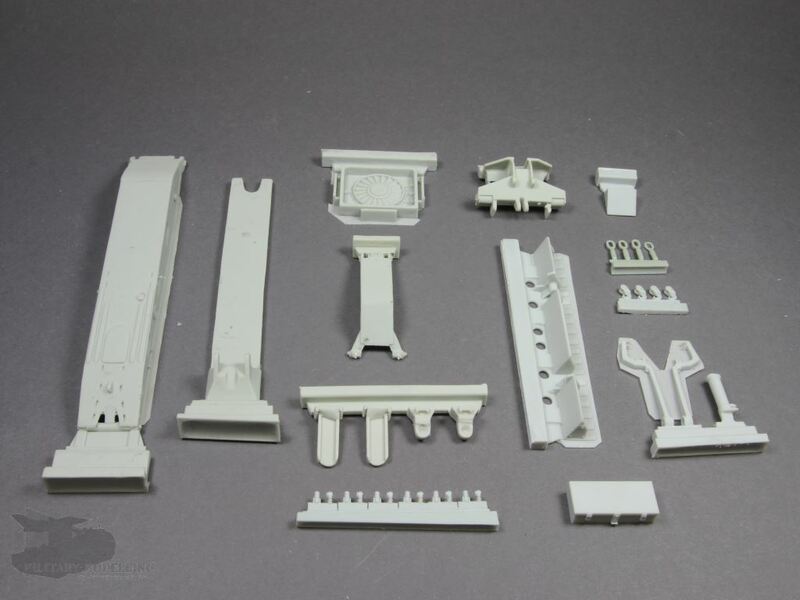 This consists of the roadway, side panels, girders and several small parts. The dimensions are consistent. 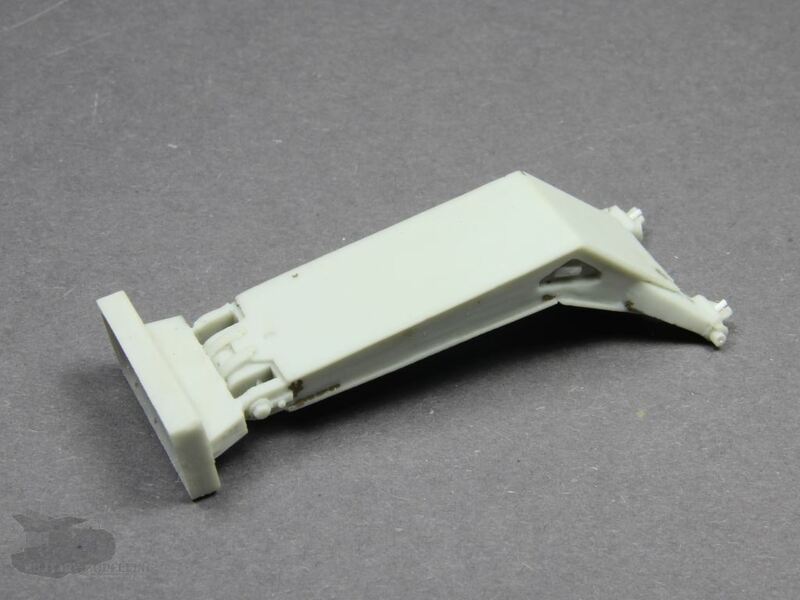 The roadway has a very well-represented anti-slip coating and other details such as the guiding channels or even the small parts such as springs, wheels and levers, are beautifully detailed. 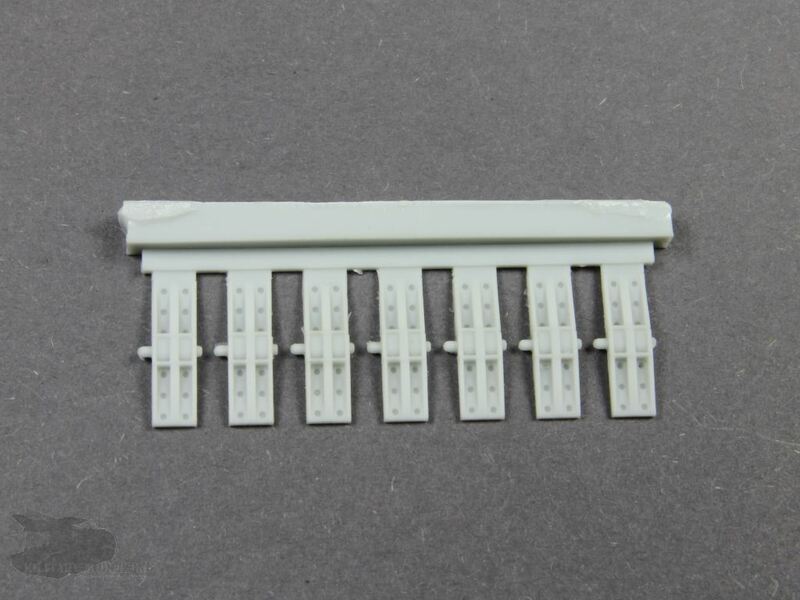 Located on the side panels of the bridge are the pegs series for advancing the bridge by the cantilever arm which are added separately. Incredible detailing, casting, and no shortcomings. 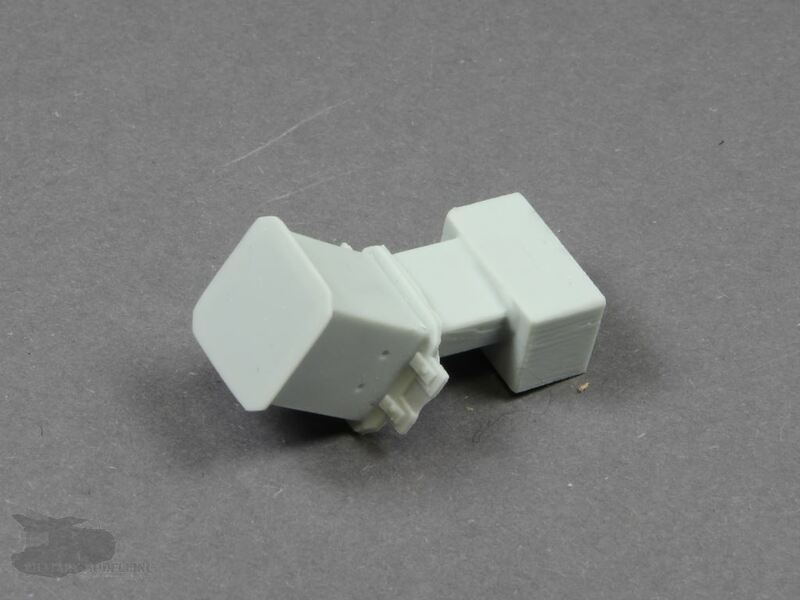 The fit of the parts is also good. 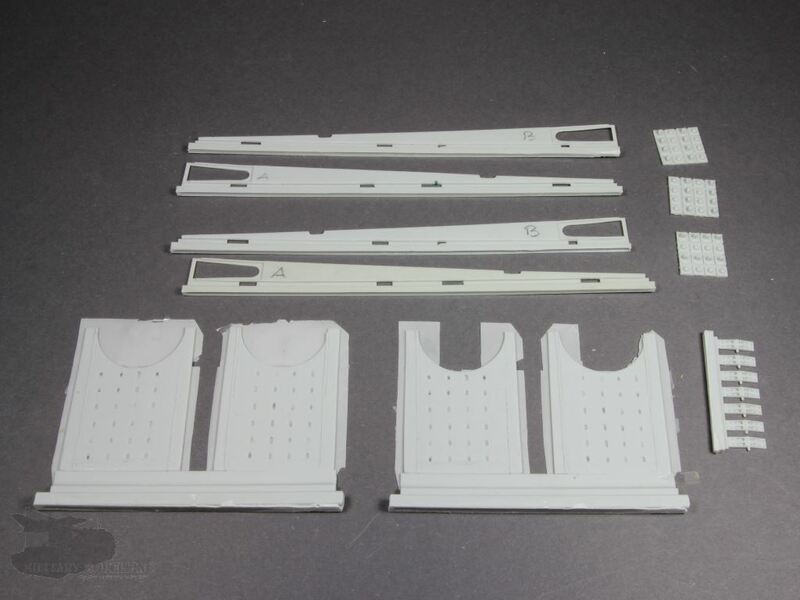 Generally speaking, the bridge itself is a kit within the kit. Once again, the internet certainly provides one or more references. The pages of PrimePortal or Panzer-Modell.de are good places for searching. Detailed walkarounds are supplied by Dio-Factory on DVD. In literature, the book about the Biber from Trackpad Publishing is recommended which will be released in June 2016. For the sake of completeness, I should not leave it unmentioned that, apart from PSM, there is a second producer of a Biber in 1.35 scale. 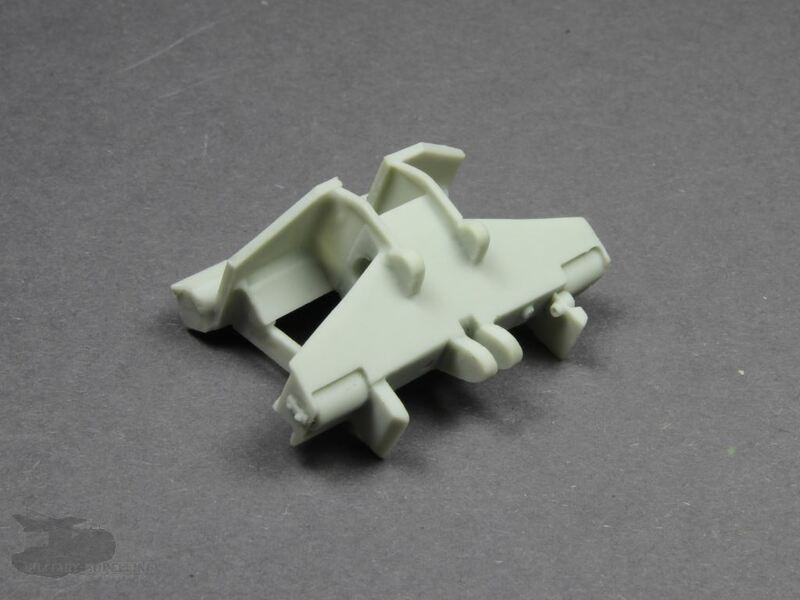 This is Elite Models whose complete kit has been available for a number of years. This kit of the Biber, produced by Perfect Scale Modellbau, is a very impressive and unique model. 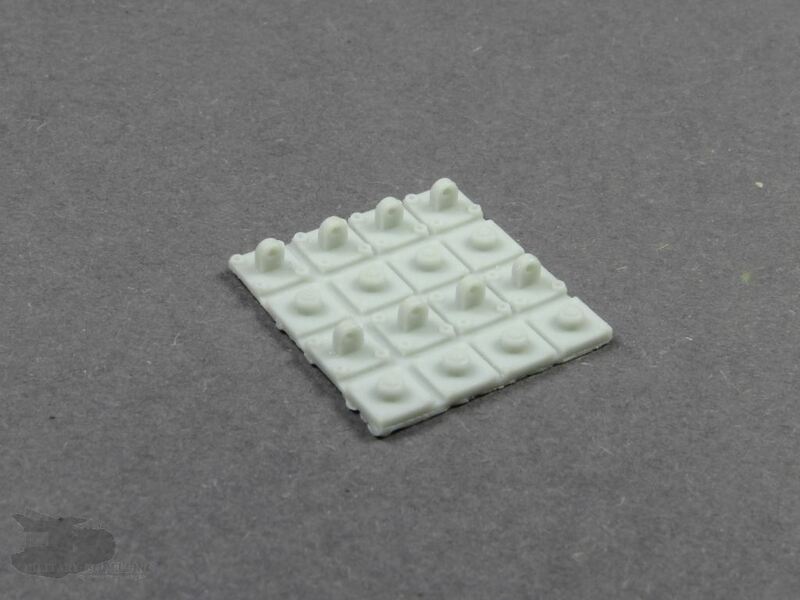 The attention to detail and the sharp and consistently excellent castings are particularly noteworthy. 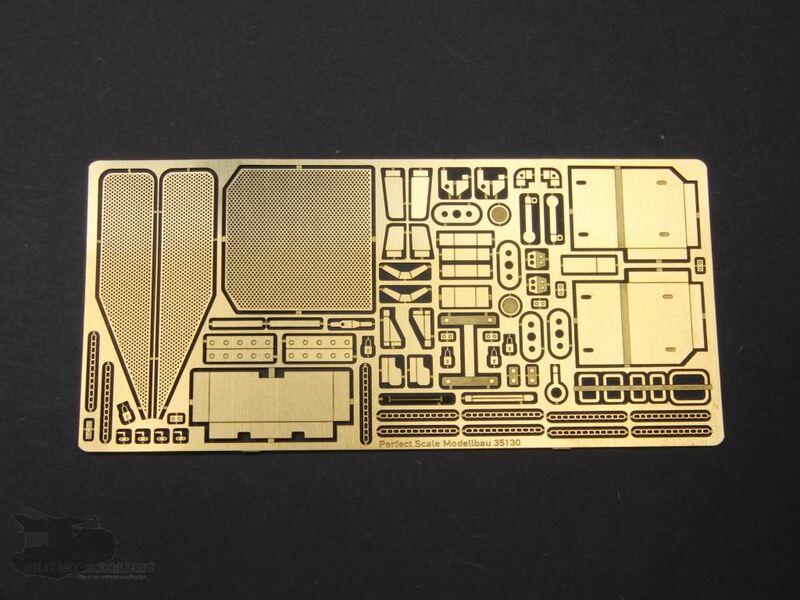 The selection and combination of decals, copper wire, resin and photo-etched parts is convenient and well chosen. It finally allows the appropriate level of detail. For me, it was and is a preferred model and my expectations have been exceeded in any case. The relatively high price is perfectly justified. It remains to be mentioned that this is not a simply-assembled, out-of-the-box kit. Reference studies and a certain level of model building skill are mandatory here. 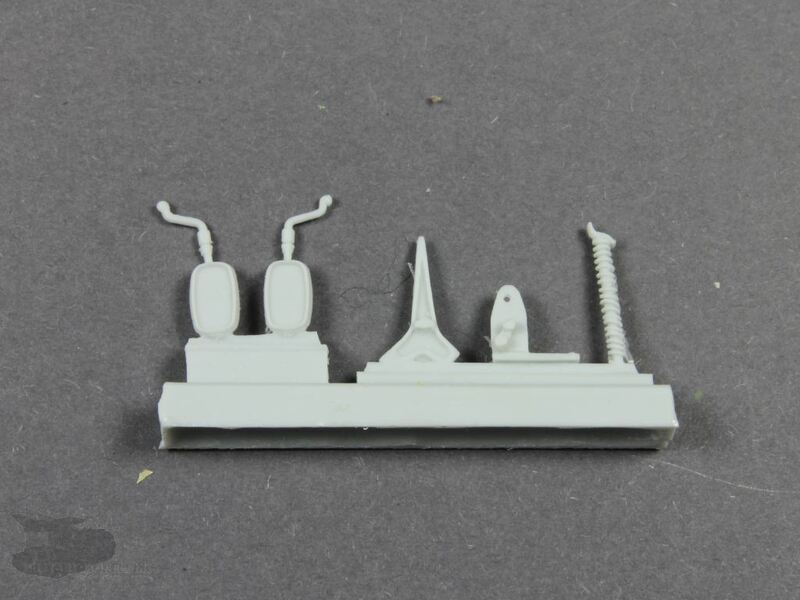 For the beginner, I do not think this kit is suitable. After assembly, you will have a real eye-catcher in your showcase. 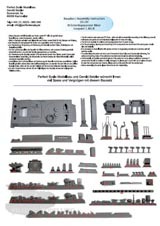 As can be seen already in my previews: an excellent kit! 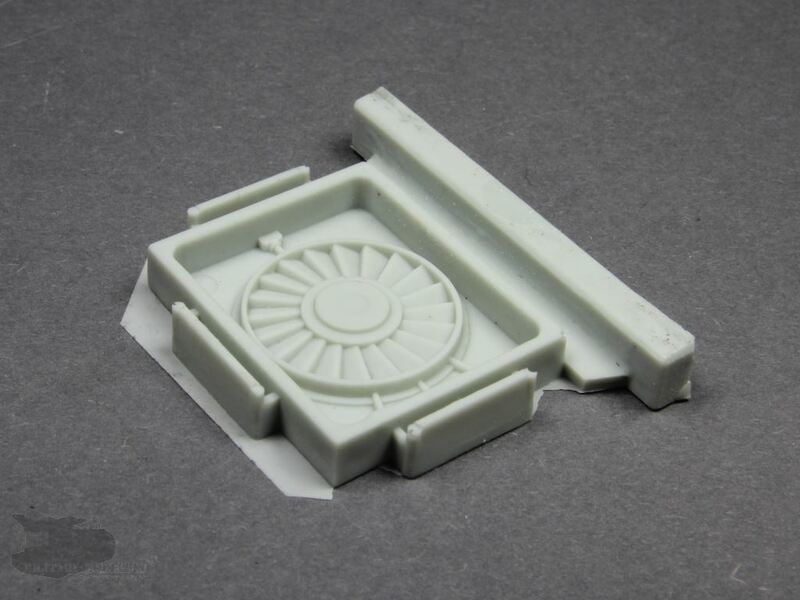 Perfect Scale Modellbau again shows here its high level of casting, detail and precision fit in a multi-media kit. An impressive eye-catcher in every showcase - highly recommended.